70 days. 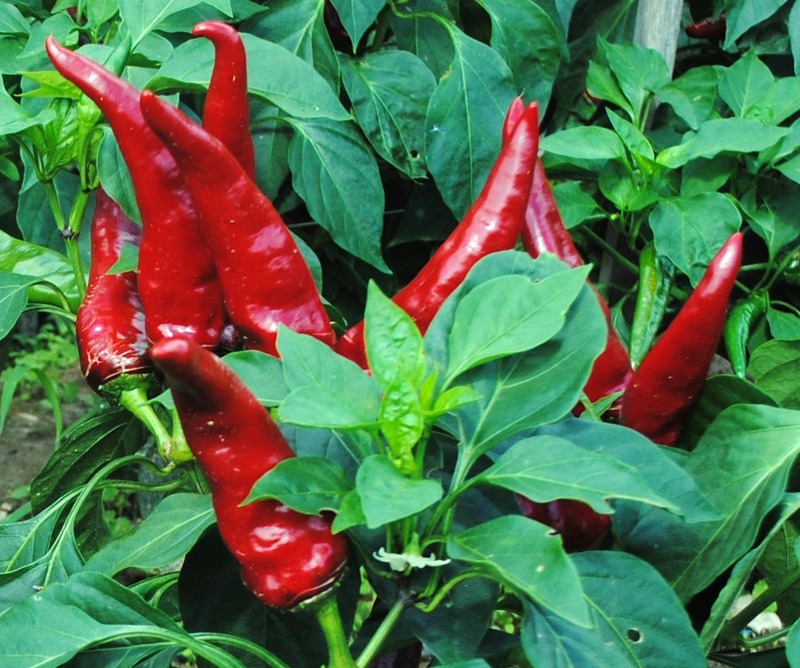 (green > red) Our seedstock originally came from Hungary, where the paprika pepper has been developed to its finest quality. This strain has excellent color and sweet, spicy flavor. 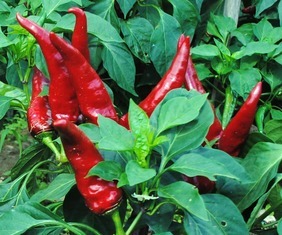 3 ft. plants produce an abundance of 1½ x 4½ in. peppers. Fruit shows some susceptibility to sunscald and blossom-end rot, but is otherwise an excellent variety. The fruits keep well. The sweet, very dry flesh is ideal for drying. Grind dried fruits for a superb paprika seasoning. 3 g.